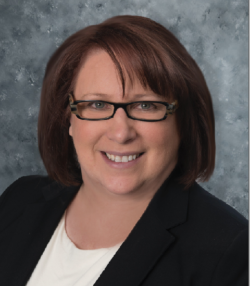 Daphne brings to Solutions Advisors an extensive background in senior living and healthcare sales leadership, with over 25 years of industry experience and a proven track record in building successful teams and exceeding multi-unit business goals. She is highly skilled in consultative sales coaching, from lead generation, professional outreach, needs analysis to closing and post-sales service. Senior sales leadership experience across the full care continuum including independent living, assisted living, memory care, skilled nursing, and home health care. Daphne is a consistent top producer. She achieved 145% growth in two years for a national home health care agency (Life Care at Home). She doubled skilled referrals for ten nursing facilities in ten months (Sava Senior Care). She achieved a net increase of 60 residents in five months across ten assisted living communities (Sunrise Senior Living). Daphne increased Average Daily Units (ADU) quarter over quarter for company’s total consolidated CCRC communities (Emeritus Senior Living). Daphne is dedicated to serving seniors and is a recognized expert in the field of aging. She was inducted into the National Gerontology Academic and Professional Society of Sigma Phi Omega. She was awarded the prestigious Aging Services Capstone Project Award by the University of Massachusetts for the project “Weakened Weekends: Why Americans Should Expect More from our Healthcare System on Weekends.” She was also appointed by the Governor of Colorado to serve two terms on the Colorado Commission on Aging. Daphne loves spending time with her husband, Neil, and her two children, Kelton and Porter. 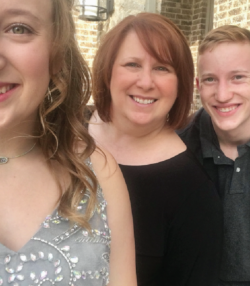 Her son is a competitive gymnast and her daughter is a varsity cheerleader, and they keep busy with their sports activities. Everyone knows her family by their weekend car—a purple Jeep Wrangler—which they love driving with the top off on warm weekend days or when the North Texas Jeep Club has an event. Daphne also loves to travel, particularly on cruises or back home to Colorado to spend time with friends and family. When she has some time at home, she likes to make pottery by throwing some clay on the wheel, or to make bread completely from scratch by grinding her own flour and making her own natural yeast.